See Edinburgh like you never have before. Explore the rooftops and high places of one of Europe’s most iconic cities with visually stunning photography, helpful annotations and the occasional poetic gem. You seem to promise us – what? and fears to free us from the present? and a blessing on us all. Originally named the North British Hotel, after the North Bridge Railway who built it, until bought and refurbished in the late 1980s. I worked as a hotel porter here in the mid-80s and love the building. 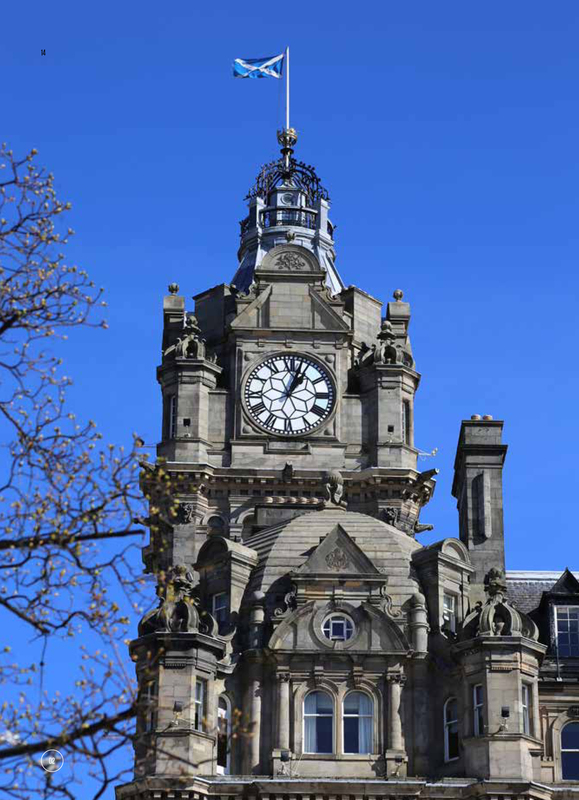 It has five floors beneath the Princes Street entrance and five above. Sadly the Waverley Station entrance is no longer in use. Famous guests include the Queen and Robert Maxwell, during the 1986 Commonwealth Games, Michael Palin, and, most famously, JK Rowling, who completed a number of the Harry Potter books in a room in the hotel, now named after her. The feature film Hallam Foe, starring Jamie Bell, was filmed in and around the hotel. 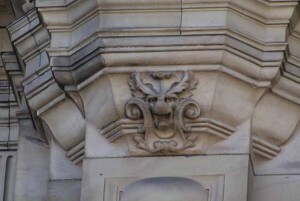 Intricate details can be found across the building, including multiple oriel windows, a form of bay window that projects from a wall. 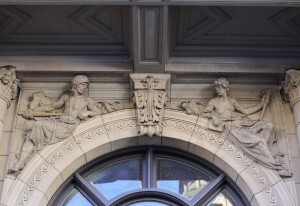 Two reclining male figures greet guests from the entrance. 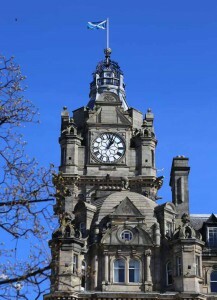 The famous clock, visible from multiple points, is still set a few minutes fast to help people rushing for their train. 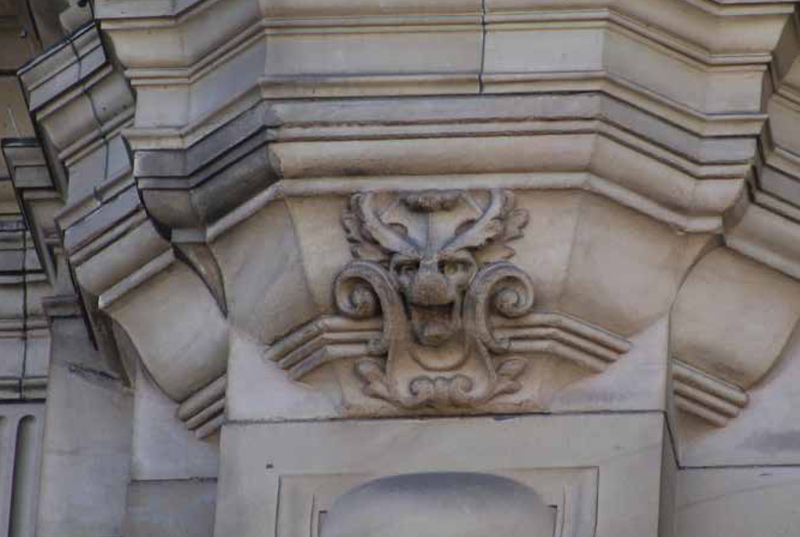 And for those who look closely, there are a number of superb gargoyles just below roof level. 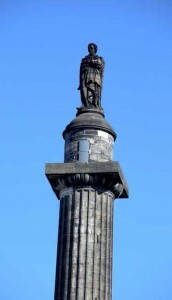 Controversial lawyer and Tory politician Henry Dundas 1st Viscount Melville was the namesake of this 41m high monument. Melville was the last person to be impeached from public office in the UK, for misappropriation of public funds, although he wasn’t convicted. He was nicknamed the ‘Uncrowned King of Scotland,’ such was his grip on Scottish political life. He was also a leading opponent of the abolition of slavery. 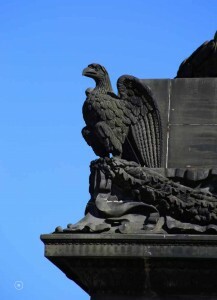 The monument features a large statue of Dundas at the top, but, more interestingly, four eagles’ heads protrude from each corner of the huge plinth. Built to replace a previously demolished building, dating back to 1839. The pediment sculpture, designed by John Steell, represents the Wise and Foolish Virgins from the Gospel of St. Matthew. 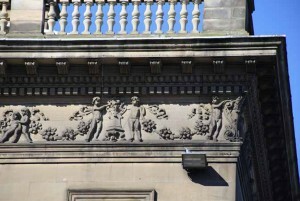 A frieze of naked children with swags of flowers and fruit, as symbols of abundance, also run around the whole building. The modern annex was built in 1975, the fabulous bronze relief on the same religious subject matter being added in 1979, although at the moment the sculptor is unknown. 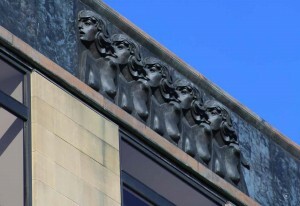 In this instance the Five Wise Virgins are identical, in a row, bare-breasted. To their left are the Five Foolish Virgins, separate and clothed, in attitudes of despair and anguish. 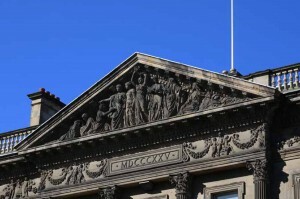 The frieze is read from left to right. The Foolish Virgins represent: Wistfulness, Self Absorption, Panic, Despair and Procrastination. The Wise Virgins, ‘being perfect, their transcendence has rendered them identical and equal.’ Robert Palmer would approve. Adrian Searle studied History at the University of Edinburgh and Creative Writing at the University of Glasgow. He is founding co-editor of Gutter, Scotland’s leading literary magazine. He has edited a number of anthologies of new writing including The Hope That Kills Us: An anthology of Scottish football fiction (Freight, 2002) and The Knuckle End: A meaty collection of new Scottish writing (Freight, 2004). He co-authored 101 Uses of a Dead Kindle (Freight, 2012) with the artist Judith Hastie, a BA top five Christmas Book of the Year 2012 and winner of two Scottish Design Awards 2013. Adrian and Judith published If Dogs Could Swear in October 2013. 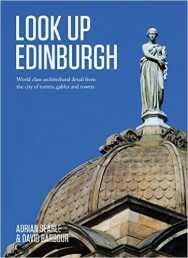 Adrian co-authored Look Up Glasgow with David Barbour in 2013, followed by Look Up Edinburgh and Look Up London, both published in 2014. 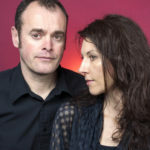 Most recently, Adrian again teamed up with Judith Hastie to produce So You Think You Know Scotland?